It's been nearly two years since the South Napa Earthquake rocked the North Bay region — but the revelations keep on coming. Scientists say data from earth movements that occurred after the major shaking stopped show helter-skelter patterns unlike anything they've seen before. 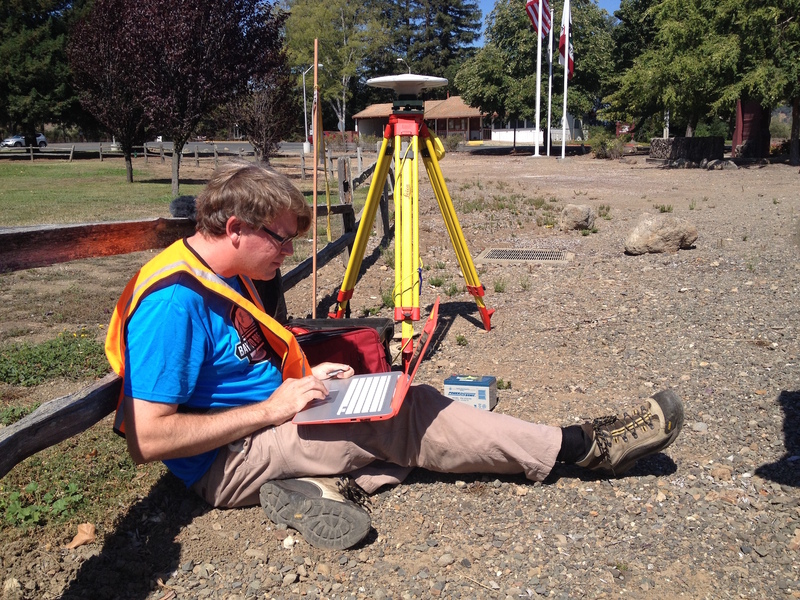 Field teams noted early on that the Napa quake of August 24, 2014 did an unusual amount of damage for a magnitude-6 temblor — and that the event was followed by significant "afterslip," when the ground keeps moving (albeit a lot more slowly) after the main event. What surprised geologists analyzing data in the months to follow was the variety of afterslip, which was greater in some places than others, and moved faster in some spots. "We found this fault shows multiple slip behaviors at different times," says Gareth Funning, a geophysicist at UC Riverside and lead author on the study. "We'd not seen anything quite like it before." Funning's team had the good luck to be nearby when the quake struck, and had just taken ground measurements in the valley weeks before. It gave him a unique perspective on ground movement before, during and after the major shaking. One notable finding was that in some spots, there was more ground movement after the quake than during it. "It can carry on breaking things after the earthquake is done," says Funning, which might have implications for responders, as well as property owners. "People might assume that they're out of the woods for damage, but not necessarily true." Adding to the confusion is the complex nature of the Napa Valley geology. The 2014 quake broke along various strands of a fault system, as opposed to a single fault line. Funning's team identified seven places with different types of slip. The complete study is published online in the journal, American Geophysical Letters. Funning says they also observed a "tentative connection" between the surface geology and the earth movement observed. Areas of bedrock seemed to show more movement during the quake, while places with "softer" geology such as sedimentary material, showed more afterslip. "So perhaps we could start to look for connections between surface geology and fault behavior," says Funning. "It's an intriguing thing that we're going to follow up on." 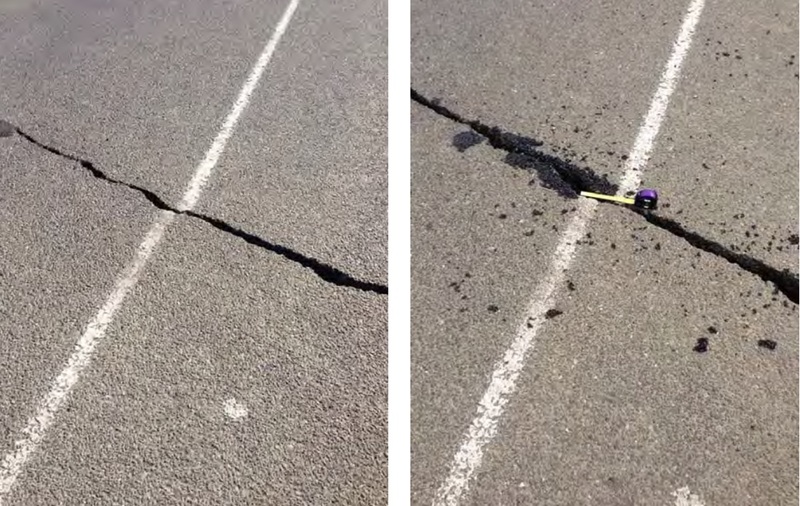 Funning says the 2014 event revealed the West Napa fault to be a "creeping," fault, one that keeps moving between earthquakes. The Hayward and Calaveras faults, which run up and down the East Bay, have similar characteristics. 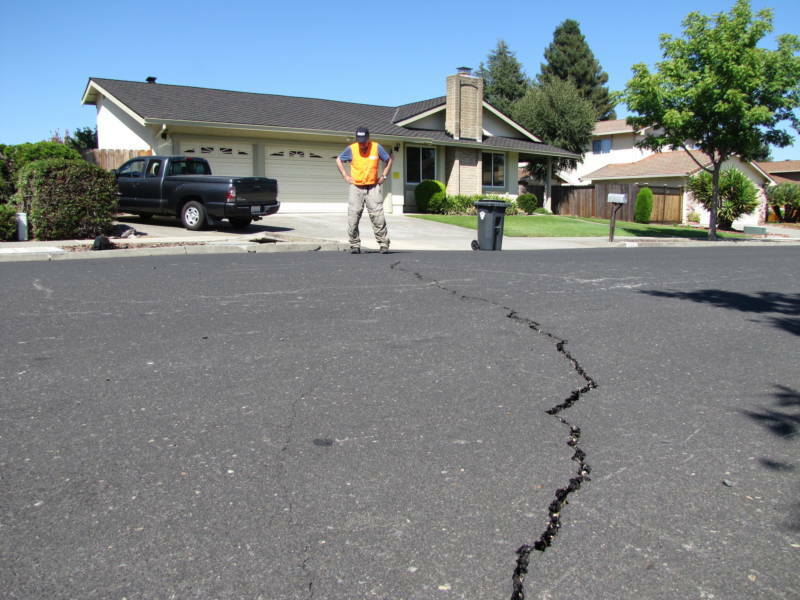 Geologists also look for signs that an earthquake has added stress to surrounding faults, or "loaded" them. Funning says the evidence thus far suggests that the the Napa quake added minor loading to the nearby Rogers Creek fault, slightly increasing the odds of an event on that fault, which slashes diagonally across the North Bay.